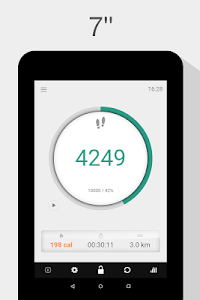 This easy to use Pedometer app records and displays not only the number of steps walked but also the number of calories burned, time spent walking and distance covered. All you have to do is push the play button and start walking! In the gym, on your home treadmill, or outside in the park, be conscious of your walking data anytime and anywhere. Let’s start walking!!! 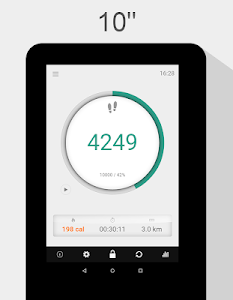 View graphs displaying the number of steps, calories burned, time, distance by touching on each icon respectively. For a precise number of calories burned, you will need to enter your height and weight values. 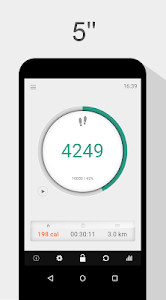 If there is a mistake with the number of steps recorded, further sensitivity adjustments should be made. Thank you for taking the time to review our application.